If you are heading north from Paris to Normandy, you shouldn’t miss the historic and charming city of Rouen (pronounced Roo-on, with a nasal n.) This mid-sized town sits on the Seine River. 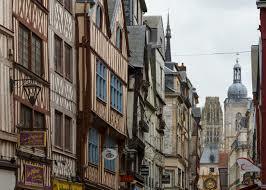 Rouen is crisscrossed with medieval streets, dotted with half-timbered houses, and bulging with history and art. 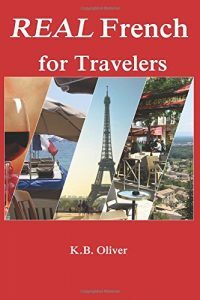 By car, you pass it on your way to the D-Day beaches or Normandy beach towns, Le Mont Saint Michel or as you head over to northern Brittany. 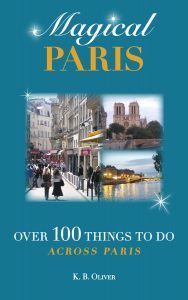 By train, you can get to Rouen in about 90 minutes, so it’s a great day trip from Paris. In Rouen, you’ll find a bustling town full of interest but not many tourists. You’ll get a good feel for city life in France outside of Paris. During the Middle Ages, Rouen was second in size only to Paris. In the 12th century, half of France was controlled by England, and Rouen was the English headquarters. 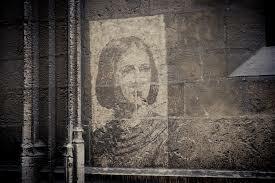 When the English captured Joan of Arc in Compiègne during the Hundred Years War, they brought her to Rouen where she was tried and burned at the stake in the 15th century. The Eglise Sainte Jeanne d’Arc is a modern boat-shaped church built in her honor in the spot where she died. Today there is also an open market held there. L’Historial Jeanne d’Arc is a museum about her life and the Tour Jeanne d’ Arc is the tower where she was imprisoned. Of course, you’ll want to eat and drink Normandy specialties, including Camembert cheese and Calvados. There’s a wonderful fine arts museum, Le Musée des Beaux-Arts, which features many works of the masters, including many impressionists, such as Monet. Go to the Old Town and wind your way through the medieval streets, where there are also boutiques and restaurants. 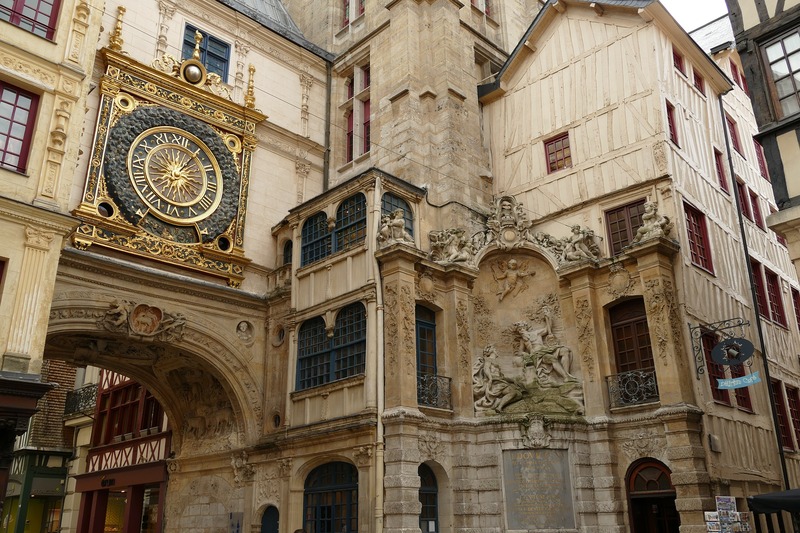 Don’t miss the Rue du Gros Horloge, where there is an impressive clock tower. Aître Saint-Maclou is an interesting Medieval cemetery created during the Black Plague. The church of Saint Maclou is a Gothic building in the midst of the Old Town, not far from the Cathedral. Le Palais de Justice is the courthouse, but unusual in medieval Gothic architecture detail. 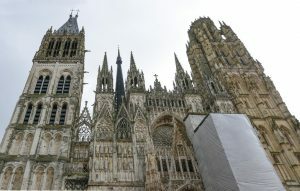 Cathedrals, France, France travel, French travel, Hundred Years War, Joan of Arc, Normandy, Northern France, Rouen. Bookmark.